Humanitarian aid work is tough, unsafe and utterly rewarding. To get that first job in an international humanitarian agency is not easy. It can happen by chance, or by following a set application process. Knowing where to start looking isn’t evident which is why The GOODista decided to write this post. If you are looking to do good – to do more – for those who need it so desperately – there are options that you may not have thought about. The UN and NGOs cater for a wide variety of jobs, internships and volunteer opportunities but you have to figure out what makes you interesting. With over 20 years HR experience in the UN, I have an idea of what seems to work when looking for that first break. Are you looking for a job in humanitarian aid? Let me know what you think of these tips. Humanitarian Aid Work: Is This For You? Humanitarian aid work is not for everyone. Being on the front lines of a natural, or man-made, emergency is devastating. You can cut out any romantic notion straight away. It is a full on, super demanding situation where you need to be able to contribute 24/7. All of your skills and capabilities get tested in the midst of an ongoing crisis and to witness the suffering of those affected takes a toll on your inner self. However – the trust that you build with your team becomes a bond closer than family at times, and the experiences will never leave you. I got that first job working in UNICEF when I was 25 years old. How I got that job was a combination of luck, circumstance and being at the right time – in the right place. While travelling in Africa, I wanted to do more than just see the sights. I did have a degree, and HR work experience to draw on, and sent a number of CVs to the agencies working for the Horn of Africa emergency. After a few rejections, I got lucky. However – more about tips on how to get a job later. I was not prepared for was the new world I was about to enter. A combination of total mind-blowing (long) learning days, and a constant feeling of not knowing anything useful. The latter had to be compensated by a calm exterior and acting like a sponge with everyone I met. The fact that the team was multi-national to the extreme was also new, and humbling. I realized early on that the experienced UN staff had seen more in their short lifespans than many older people I knew from home. These UNICEF people were young, dedicated and completely unaware of the fact that they also got paid for the job that they did. The UN staffers lived, breathed and dreamt about their jobs – and seemed weirdly energized by it. I know now though how much humanitarian aid work can burn you out, that it can claim a lot from you (too much maybe?). Humanitarian Aid Work: Want To Make A Difference? Are you ready to leave family and friends for a long time? How much stress can you take? How fit are you – i.e. are you medically able to work very long days in often rough conditions, and can you take it mentally? What do you have to contribute? A degree, work experience, time or a special skill? Reframe your focus and look at options. Volunteer and charity work starts right around the corner in most countries, and rather than looking at the bigger agencies – start by testing your skills, capabilities and evaluate if you really can do this by volunteering closer to your home. Humanitarian aid can be delivered through development rather than in a front line emergency. Your first job can well be in a development setting and well worth checking out. Look for different jobs within the NGOs or the UN. These are large organizations with a big job catalog – and not all are based far away. An internship or volunteer job at a headquarters location will give you access to experienced international staff, the work and mission. These HQ jobs can be equally demanding in terms of time, hard work and need to produce a lot – in a short time – however from a resistance point of view it may make more sense as a first experience in humanitarian aid. See what your own government does in terms of UN and NGO support. Many countries have so-called Junior Professional Officer programmes where a government contributes to the UN and large NGOs by providing skilled young professionals. Maybe you can be one of those? You may need to build experience, and skills before applying (again) to the UN or large NGOs – so travel, specialize and add real lived accomplishments to your CV. Get focused on what you can do – not what the UN/NGO can do for you. If you have decided that you want to work with aid, you need to be able to have something to deliver. Look at your skills catalog and see what makes you stand out. Do you have a degree? For the so-called professional jobs in the UN / NGO, you do need an advanced or basic degree (coupled with work experience). Do you speak languages? In an international organization languages are a must, and most UN / NGO staff speak at least 2 official languages. It also helps if you speak other languages – i.e. so you can speak to locally affected populations. Do you have any skills that make you stand out? Perhaps you are very good at Excel or social media? These can be important to list in a CV. Many organizations are looking for very specific help for the more junior jobs, and that extra something can make you stand out. Have you traveled, and experienced other parts of the world? These are added advantages as they show your capacity for working well with many different nationalities. 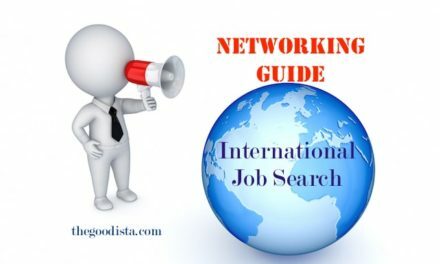 The ethical and non-political values of the international organizations are strong – which is why you need to convince a potential interviewer of your open-mindedness and ability to work across borders geographically and mentally. Are you willing to give up your social agenda, comforts and access to spas, fitness clubs and takeaways? You need to be prepared for the limitations of choices and access to what you probably consider as self-evident. Security and safety are paramount to the UN/NGOs and hence the rules are not to be crossed. This brings fenced-off living conditions, and access to the ‘outside world’ difficult in some places. Once you have listed what it is that you can and cannot do – write a new CV. You probably already have one, but my best advice is to look at the UN / NGO sites and see what format they require. In some UN organisations you will need to fill in a so-called P11 form (UN-speak for detailed CV form). In other organisations you fill in a form online. The UN and NGOs have many types of jobs. Your listed skills, work experience, and languages will give you a clue which jobs are open to you. For instance – If you have a basic degree and studying for your masters – volunteer opportunities, internships – or entry-level consultancies is where to start looking. Each job category is well-defined and the websites (below) will give you the details you need. Once you have sent that CV/form off, be prepared to wait. A follow-up can be a way to get closer to your goal. Call, or write an email to the recruiting office, and see where in the process you stand. If a manager answers you need to be prepared for an interview via phone there and then. You have to be able to give your ‘elevator speech’ – rehearse it beforehand! If your CV, timing, and impression work out – that first job in humanitarian aid can be yours. You might also find yourself in a country where a situation is emerging – whereby you can present yourself in person in a UN or NGO office. Being in the ‘right’ place at the right time can be a very good thing when looking for a break. A combination of a well-prepared CV, follow-up and ‘right place / right time’ is what you need to get that first job in humanitarian aid. Humanitarian Aid Work: First Job – Then What? If you do get that first break you will enter into a new world – bright-eyed and bushy-tailed. You will discover that the hours are long, the bureaucracy big and the harsh reality that the first break is just the beginning. The world of humanitarian aid work is just as any other large competitive workplace. You must strive to contribute, and make a difference in the workplace – without offending anyone (often not deliberately!). The challenge quickly becomes to distinguish yourself in your work, yet able enough to learn, and absorb as much experience as you can. It is a good idea to read the setting you are in. Do not involve yourself in office gossip, too many jokes and references to gender/culture/country etc. What works in your home country will most of the time not work in an international setting. The first contract may well be your last if you’re not smart about it. Do your best, learn as much as you can and show that you apply what experienced staff share with you (at all levels!). Getting a job in humanitarian aid isn’t easy – but by widening your search net and looking at various agencies/jobs and options it is absolutely feasible. The main thing is to realize yourself is that making a difference is about you having something to contribute – and not what ‘they’ can do for you. It is about dedication, understanding, and compassion with others that you get to your goal – which can be reached in more ways than you perhaps thought. If you have questions, comments or ideas – please feel free to comment below. And – sign up to The GOODista for more inspiration to field focused wellness, health and lifestyle changes you can do to Feel, Be and Do Good. NextFitness Motivation: App, Tracker or Smartwatch? How impressive, and thoughtful! This is truly useful for those looking to work in humanitarian aid! This deserves to be spread widely. Thank you!